Reading this page, you will notice VirtueMart.net has a new look, new structure and new feel, which we started talking about this 3 years ago, so why has it taken so long? We had to wait until we were able to migrate everything to joomla 2.5 (Livesites, Links, Comments,...), which was a major job we have finally completed. We are proud that we have finally managed to present the new site; the design offers you more active areas, more links to specific information and easier navigation. 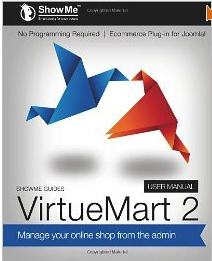 Due the time it has taken us on relaunching the Virtuemart website, we were not able to finish vm2.1 as we would have liked, so we have released a new version of vm2.0, with many of the features we thought would be part of VM2.1. This was done because so many people added useful and helpful enhancements or features (like manufacturer depending rules), so it would have been a waste not to share these features as early as possible. We have slightly changed our philosophy for the release of vm2.1, the idea was to release the version with a whole host of new features, but instead we have added some of these enhancements and features to 2.0. The idea behind this was that we wanted to release it in a way that would allow us to get the newest features to you as quickly as possible, whilst in the background, 3rd party developers can have enough time to play with VM2.1 and adjust their products, which helps to reduce the impact on both the 3rd party extension developers and users alike. In short, VM2.1 plugins and extensions will be fully compatible with VM2.1 when it is released. The newest release VM2.0 is ready for download, the new website, which we mentioned was a culmination of months of work is now live, and VM2.1 sitting on the edge being tested by the core developers, so all is looking good for the future. Furthermore, we fixed smaller bugs. The update should be completely backward compatible, but there is a new setting for the email sender which you should be aware of. - Moved TOS to top of check in cart, for easier use and visibility. - Fix - cart rules per category by kkmediaproduction (Maik Künnemann) and Max. - Added manufacturer for rules per product, thanks to <mediaDESIGN> St.Kraft, please be aware, this won’t work for rules per bill despite the categories. - Bug fix – when admin changed some addresses of users, the bug caused (on some occasions) the loss of the logged in admins own address, if the user was not a VM user already. Hello people. 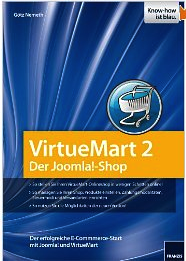 Almost exactly one year ago we released VirtueMart 2.0.0. if you take a close look the news from the 19.12.11 - 23:52, with the final uploaded on 20.12.11, this was just 12 months ago. VirtueMart 2 had a quite rough start, taking a look back we released maybe too early, however this was due to many users pushing us to release. Vm2.1 is already in the pipe and will be ready for testing mid-January, so this is the last of the VirtueMart 2.0.x series. We had to solve a lot of different problems last year and not only in the code, we wanted to revive a language based virtuemart 2 community, so worked continually in the background to achieve this, we travelled to conferences and gave free workshops, showing many people how easy VM2 is to use, whilst preparing the re launch of the virtuemart.net website, created a new template and layout, added a new board in the forum for 3rd party developers. We are now almost ready to port all extensions from oldextensions.virtuemart.net to extensions.virtuemart.net and have started to invite more and more of the many extension developers, but we want to ensure we also review all components, and this takes time, so all in all it has been a pretty busy year. In the past few days, I trawled through the forums and was surprised to see most threads have been answered by moderators or passionate users, but that some threads got completely ignored. I have thought about how this happens and have asked our moderators to find ways to prevent it. We feel the reasons are quite simple, the core developers (Valerie and Max) should not spend their time checking the forum, because we need this time to develop the core, of course we take a look every 1-2 days, but some days a thread is pushed on the second page within hours, because of the volume of active people. The core developers and supporters are mostly Europeans and so it can be very likely that we just don’t see them as often as users need, however many of the answers have been supplied by the community. VirtueMart is a project, and over the past few weeks an amazing number of patches have been created by the community (GREAT WORK thank you), so if there is a thread in the forum that’s regularly updated, moderators just assume that people find a solution themselves, whilst other moderators think that code snippets are professional talk. Another misconception and one of the biggest problems, is that people often claim they have bugs, when this is merely a product of misconfiguration, and on the other side of the coin, we think it is just a misconfiguration, when in fact it is a bug or missing feature. This is a confusion we are trying to address. But in majority the community has helped us to create the great product VirtueMart 2, which has evolved into and one we are proud to use. So in conclusion, many people have helped, the speed of growth with development and patches has been astounding, with slight cracks appearing in the way people perceive the forum, a perception that we ignore posts, or avoid answering, but this is not a case of ignoring anyone, or any thread, if there is a live thread and the team seems to ignore it, remind yourself, the team never ignores something on purpose, just write a short pm (without swearing if possible) to me. We believe Vm2 is more flexible and mightier than vm1, so most people can get a shop working using only 30% of the features and everyone uses different 30%. We wanted to release vm2.1 now, which offers a new structured customfields, which has resulted is massive speed gains by the rewritten customfields, and should include multiple prices, editable orders, more userfields, variation of fonts for pdf’s, and a whole lot more. The multiple price features was almost done already for 2.0.14, so we decided to release a fast 2.0.16 for the people who require multiprice. Before any release we check the forum, and discovered a lot (20+) of patches and good bug reports, many thanks for these, and they are now all integrated into vm2.0.16, additionally, we have added a lot of speed optimisations. We hope you enjoy 2.0.16 a product the community helped craft by ironing out bugs and fixes and we have already started on many features and ideas for the next series. Dear international User, this is a news for german speakers. The topic is just about the changes of the german virtuemart page. Wie vielleicht einige bereits bemerkt haben, verweisst die virtuemart.de adresse auf die alte Seite von Media-service-essen.de. Die Vereinsseite ist weiterhin unter verein.virtuemart.de erreichbar. Der Grund für diese Änderung ist, dass der Verein und die Seite hauptsächlich von Sören Eberhard-Biermann verwaltet worden sind und es nicht möglich war adäquaten Ersatz zu finden. Allerdings wurden wir mehr und mehr auf Michael Schulzes Seite aufmerksam. Sie hat das best besuchte deutschsprachige Virtuemart Forum, alle News waren immer übersetzt, Erweiterungen werden vorgestellt. Also hat Michael das letzte Jahr viel der Arbeit getan, welche der Verein hätte leiten sollen. Da mehr und mehr Leute in Deutschland auf mich zu kamen und meinten Virtuemart wäre tot, weil sich ja auf virtuemart.de nichts mehr tut, war es an der Zeit dies zu ändern. Insbesondere wurde auch von vielen deutschsprachigen Usern der Mangel an einem spezialisierten Forum und einer gutgeführten Community Seite angebracht. Wir sind uns sehr sicher das Michael ein guter Verwalter für die Seite virtuemart.de ist und er einen ausgezeichnetes Relaunch der Seite durchgeführt hat. Warum nicht auf virtuemart.net? Die offiziellen Seiten benötigen schon 5 Server. Würden wir alle Community seiten betreuen bräuchten wir mindestens 20 server. Zudem können wir den verschiedenen Eigenheiten der Länder mit unserer Organisationsgröße nicht gerecht werden. Wir können niemals für alle Länder so guten Support liefern, wie im Land ansässige Spezialisten. Daher ist das Ziel, daß jedes Land bzw eigene Sprache eine eigene Community Seite unterhält. 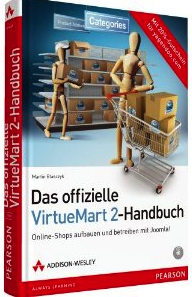 VirtueMart ist organisch, nicht monolithisch. We decided to declare now the end of life for VirtueMart 1.1, and that the version 2 of VirtueMart is not any longer maintaining joomla 1.5 compatibility. We won't remove it and we welcome fixes in the forum, but the core team is not any longer supporting joomla 1.5 capability, because we strongly recommended to use the latest joomla 2.5.x. We are proud to announce the new built-in payment method heidelpay. Heidelpay is offering the full range of services for electronic payment from one single source. Heidelberger Payment GmbH has received the status of a payment institution for the purpose of the Payment Service Directive (PSD) via the certification of the Federal Financial Supervisory Authority. As a payment institution, heidelpay complies with all demand on modern payment management. Being in contact with only one business partner you get access to all recent national and international payment methods and benefit from our highly individual service. We go much further! Heidelpay offers a wide range of risk management functions and fraud protection. Furthermore you can optimize your payment process. For example use the complete debtor management solution to automatically generate invoices or transfer unsettled claims to a debt collection agency. Extensive benefits, personal consultation and top-quality service ñ our strategy to make your business successful. fixed search in category view, using search is now searching also for all child categories, but not displaying the level of the category! standard payment, removed standard message "add a message to display with the order"
Products must check the langtable to know if there is enough data to be stored. Fixed mediahandler the wrong display of the folder paths. fixed the problem storing non-language tables. features and fixes by Maik, big enhancement for homepage settings, columns and rows for recent, featured, topten, and so on. Please check your config.